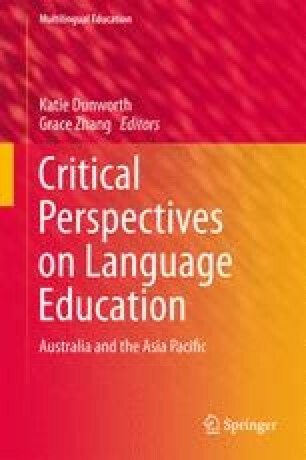 This chapter is drawn from a larger study which describes the experiences and perspectives of a group of Asian English language teachers who were also postgraduate students in a Master’s program provided offshore in Vietnam and onshore in Australia by an Australian university. Case study data were gathered from the two sites through semi-structured interviews, related documents and primary texts. Findings relating to one of the key interview questions, which investigated Asian postgraduates’ responses to Western educational discourses, form the basis of the chapter. Asian teachers reported feeling very influenced by pedagogical approaches which had originated in the West, and felt professionally inspired by them to search for new, innovative teaching approaches. They also recognised the benefits of a synthesis of Western and local approaches. Despite occupying this ‘Third Space’, however, Asian postgraduates reported feelings of inferiority, disruption, and frustration on both personal and pedagogic levels when attempting to work within Western discourses and, in some cases, when working alongside Western teachers. In this chapter I argue for greater recognition of what Asian teachers can offer in terms of their ability to ‘adapt’ rather than to ‘adopt’ (Li, TESOL Quarterly, 32(4):696), and ‘recast’ rather than imitate (Chowdhury and Phan, Asia Pacific Journal of Education 28(3):311). This cultural and educational acumen could form the basis for more dialogue between language teachers in the Asia Pacific region. Chen, Y., & Shorte, M. (2010). Oral English, culture, and strategies: Propellers and roadblockers in learning for Chinese international students. Cultures of Learning Conference. http://www.utas.edu.au/__data/assets/pdf_file/0009/167391/Chen.pdf. Accessed 7 May 2011. Ingleby, J. (2006). Hybridity or the third space and how shall we describe the kingdom of God? www.redcliffe.org/mission. Accessed 20 Aug 2012. Meganathan, R. (2009). English language education in rural schools of India: The situation, the policy and the curriculum. http://www.teachingenglish.org.uk/blogs/rama-meganathan/english-language-education-rural-schools-india-situation-policy-curriculum. Accessed 11 June 2013. Sukarno (1955). Speech at the opening of the Bandung Conference. http://www.fordham.edu/halsall/mod/1955sukarno-bandong.html. Accessed 2 June 2009.